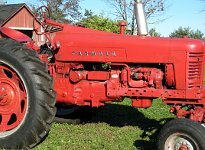 Assortment of used tractors from Allis Chalmers, Case, Ford, Massey Ferguson and others. 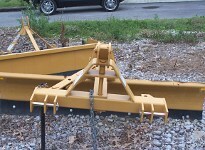 Equipment from Bush Hog, Yard Tool and others. New and used lawnmowers. We are a Dixie Chopper dealer. Used trucks from Chevrolet and Ford. Carl Mitchell & Son started during 1974 in Central City, Kentucky as a backyard hobby for Carl & Joe Mitchell. This joint venture provided a way for father and son to spend time together. As time went on they found that there was a need for a tractor salvage and service facility in this region. Carl Mitchell and Son Equipment was born. We have new parts and remanufactured parts, at very competitive prices. We have parts from A & I, Tisco, Ford, New Holland, AC, MF, Hy-Capacity, Riverside, BMD, Sparex, and many more. We stock new and/or rebuilt starters carburetors, injection pumps, hydraulic pumps, belts, clutches, pressure plates, TA's, points, plugs, liftarms, rims, carb kits, PTO's, axles, spindles, heads, blocks, crankshsfts and more. 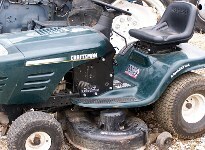 We have approximately 15 acre's of salvage tractors, equipment, and combines. 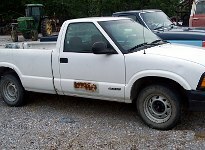 Used inventory includes sheetmetal including fenders, grilles, hoods. We carry used drive train components from complete transmissions to individual gears and shafts. We have too many parts to list each one. Please call 1-800-467-8907 or email us through the Conact form for you needs. If we don't have your parts here we can use our locator system to find your parts throughout the US and Canada.